What Document Translation solution do you use? At One Hour Translation they understand that some documents require industry-specific knowledge and 'jargon' and therefore a general understanding of a language isn't enough. LocalizationGuru provides professional translation services for 60+ languages with 48-hour average delivery. Gengo is a people-powered translation platform that allow direct order or API integration that allow individuals and businesses worldwide can dynamically order translations from a network of pre-tested translators working across 37 language pairs. Translated is an internet based translation service in 120 language combinations that allow web site translation, manuals, and multimedia. Smartling is a platform that combines enterprise localization technology with unparalleled language services to help brands achieve their global aspirations. * We monitor all Straker Translations reviews to prevent fraudulent reviews and keep review quality high. We do not post reviews by company employees or direct competitors. Validated reviews require the user to submit a screenshot of the product containing their user ID, in order to verify a user is an actual user of the product. Hi there! 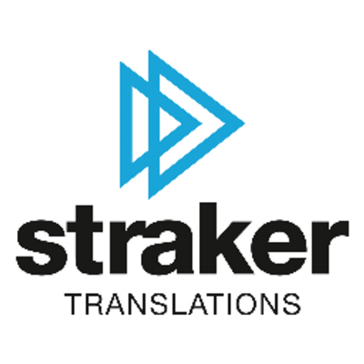 Are you looking to implement a solution like Straker Translations?